These warmly spiced pancakes are studded with zucchini and brightened by scallions and a hit of lemon. In a medium bowl, whisk together the chickpea flour, cumin, baking powder, and 3/4 tsp. salt. In another medium bowl, whisk together the egg, scallions, lemon zest, oil and 3/4 cup water. 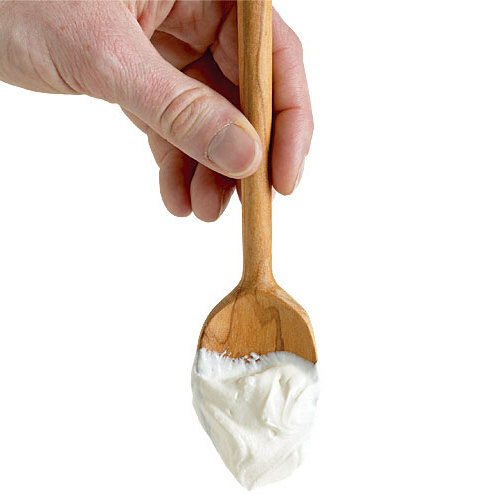 Using the whisk, gently stir the wet ingredients into the dry until barely combined. Using a rubber spatula, fold in the zucchini. The batter will be very thick. Let the batter rest while you heat a griddle or nonstick skillet over medium heat until hot. Lightly oil the griddle. Working in batches, pour 2 Tbs. of the batter onto the griddle for each pancake, spacing them about 1 inch apart and gently spreading them with the back of a spoon or silicone spatula to a 3-inch diameter. Let the pancakes cook, undisturbed, until bubbles rise to the surface and the edges look dry, about 2 minutes. Check the underside of each pancake to make sure it’s nicely browned, then flip. Cook until the second side is nicely browned, about 1 to 2 minutes more. Transfer the pancakes to the baking sheet and keep warm in the oven while you repeat with the remaining batter. 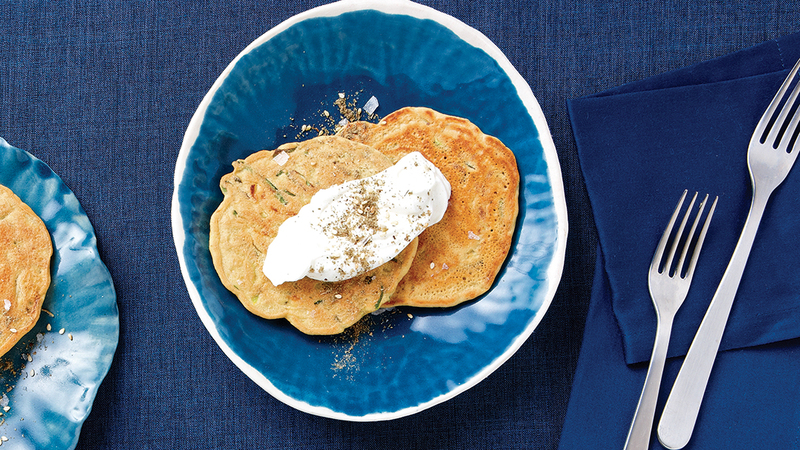 Serve the pancakes with a dollop of yogurt and sprinkle with the za’atar and sea salt. 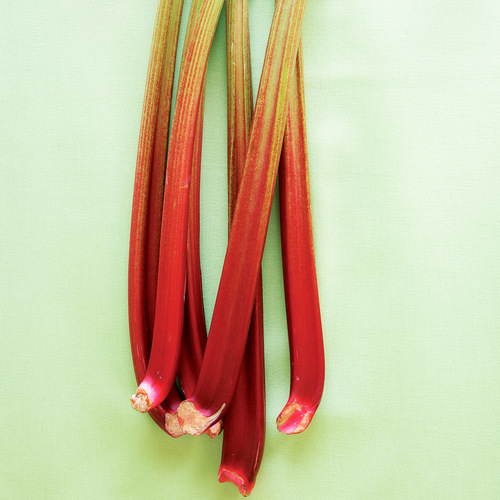 To keep the zucchini from releasing too much water, grate and squeeze it right before adding it to the pancake batter. This picture has me drooling over my desk. I’ve made my share of healthy pancakes with sorghum, almond flour and even tapioca crepes after a trip to Brazil. But I love this middle-eastern twist with herb-yogurt garnish. I recently bought some Zaatar mix from https://www.eatzaatar.com/ for my pita breads, and I have searching for unique recipes to use it. The brand was recommended by a friend as it has no wheat fillings unlike other blends. Being gluten sensitive, I’ve to pay extra attention to those food labels. 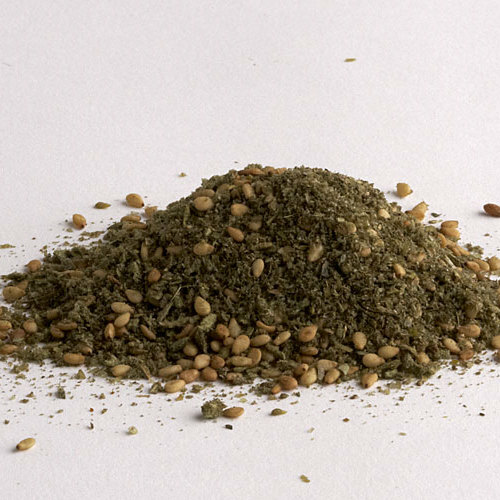 The wild thyme (Syrian oregano) and sumac they use in their blends are grown in Lebanon – as authentic and pure as it gets. 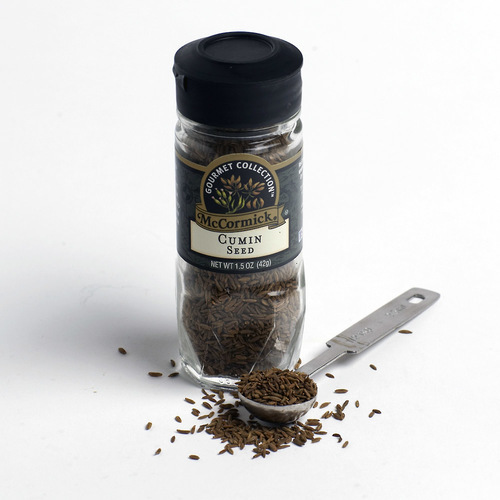 Freshly manufactured Zaatar mix with more of sumac, sesame seeds and thyme does enhance the flavour of your dish.